Yokohama’s new idea for tires could improve vehicle fuel economy. Fuel efficiency is not only important because it means drivers can save money on gas and avoid premature wear and tear on their vehicles, but it is also better for the environment because less carbon dioxide from gasoline and diesel is released into the atmosphere. As such, many companies, such as Japanese tire manufacturer Yokohama, have been researching ways to make vehicles more fuel efficient. Recently, Yokohama announced it has created tires with spoilers to help control airflow over the tires, improving efficiency. Airflow can have a notable impact on a vehicle’s rolling resistance and fuel economy. Cars waste less fuel the less they have to fight through the air. Yokohama has been able to improve control airflow over tires by placing small spoilers on the tire’s outer side wall. More specifically, the small spoilers are tiny thin fins that have been placed at specific angles on the tire’s outer side wall. According to an article from CNET, these fins work in two distinct ways. On the top portion of the tire, they help to reduce aerodynamic drag. This gives the tires the ability to cut through the air without taking too much effort. On the bottom portion of the tire, the fins mitigate aerodynamic lift and this affects traction. 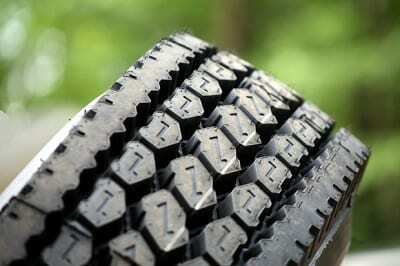 Ensuring correct tire pressure can also help with fuel efficiency and enhance vehicle safety. While Yokohama’s new tire technology does show a lot of promise, it will be some time before such tires will be commercially available. Until then, drivers can help improve the fuel efficiency and safety of their vehicles by making sure their tires are properly inflated. Correct tire pressure helps prolong the life of the tire, improves the performance of the vehicle, provides better traction and vehicle control, and gives better gas mileage. The easiest way for drivers to check the pressure of their tires, to ensure tires are not over or under inflated, is with a tire pressure gauge. This handy tool is small and inexpensive and can be found at local automotive stores, as well as online. However, tire pressure gauges aside, Yokohama’s new tire design could very well be the next big innovation for fuel efficiency. The company’s aerodynamic tire with the new fin pattern will be on display for the first time at the 44th Tokyo Motor Show 2015, which takes place this Wednesday, October 28th, in Tokyo, Japan.